This fab print will make a funky and colourful addition to any room. A perfect gift for someone, young or old, who loves vivid colours and particularly loves eating ice cream! The design shows three ice lollies; a pink one, a yellow one and a green one, all complete with sprinkles! 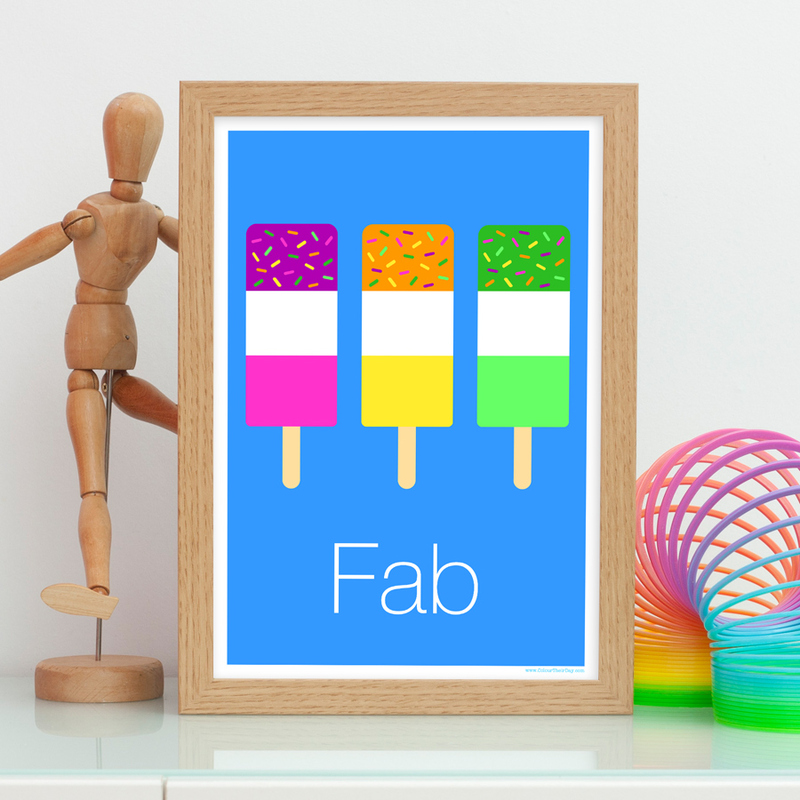 The word ‘Fab’ is printed along the bottom against the electric blue background. The print is available in A4 unframed, A4 framed and A3 unframed. Be the first to review “Fab A4 / A3 Print” Click here to cancel reply.